Newborn Intensive Care Unit (NICU) nurses Laura Flynn and Elena Melfa began what came to be known as the Covered With Love Program nearly a decade ago when Melfa knitted a blanket for one of her tiny patients. Since that time, Covered with Love has grown to includes nurses and volunteers on the NICU units at the Einstein and Wakefield Campuses. 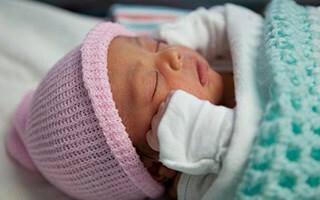 Currently, each infant admitted leaves with a handmade blanket for the family to keep. If you are interested in volunteering to knit for the program, please contact Sherri Oustalet, Director of Volunteer & Student Services, at 718-920-6654 or soustale@montefiore.org.